The video has finally been released! 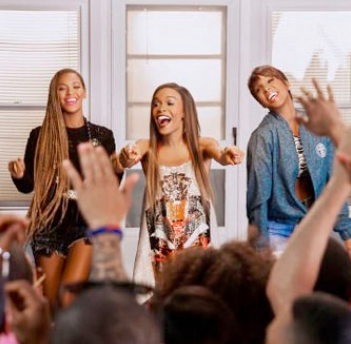 Fans of Destiny's Child have been waiting for a reunion and now they can watch the ladies of DC in this new joyful Africa inspired video. 'Say Yes' is the second single from Michelle William’s forthcoming gospel album ‘Journey to Freedom’ which planned to be released in September. I've also included a behind the scene video and the lyrics to the song, incase anyone is interested. This song actually reminds me of a Nigerian gospel song! I know Michelle was one of the actresses in the play, Fela, which is based on a Nigerian superstar. I'm also aware that she's visited Nigeria at least once before, so maybe that's where the inspiration for the song came from. You can watch the behind the scene video after the cut.